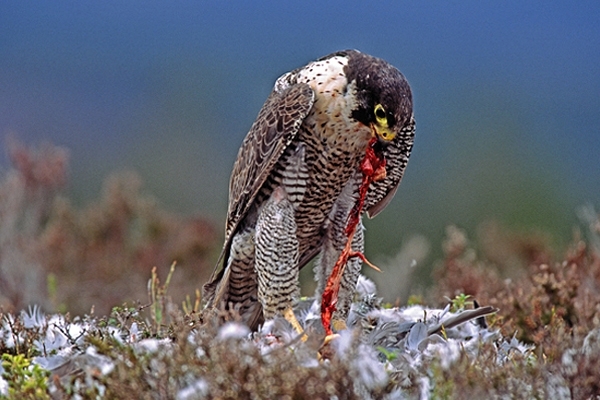 Home | Birds of Prey | Peregrine,m with pigeon prey. Photographed on a Scottish heather clad hillside. Canon Eos1n camera,300+1.4 lens and fuji slide film.